First line: It was the mustache that reminded me I was no longer in England: a solid, gray millipede firmly obscuring the man’s upper lip; a Village People mustache, a cowboy mustache, the miniature head of a broom that means business. Summary: Louisa Clark is starting a new adventure. She is travelling to New York City to work as a personal assistant. However, the new job is not exactly what she had pictured. 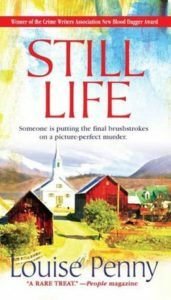 With a busy schedule of appointments and society events, she tries to balance work and her new relationship with Ambulance Sam, who is back in England. At one such social event, she runs into someone that reminds her of her past and changes her future. 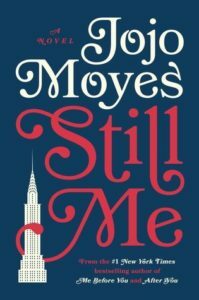 Highlights: Jojo Moyes is quickly becoming one of my favorite authors. I have read several of her novels and enjoyed them all. She has a way of writing that makes you feel everything. I laughed at Louisa Skyping with Sam. I nearly cried at the end when she is deciding who she wants to be. I love the character of Louisa Clark. She is quirky. She is funny without always meaning to be. She is not afraid to be herself. She is kind, honest, and loyal. I loved her interactions with all the different people in the apartment building. She is a person I would like to be. A complete optimist. She may have a few sad times but she is always looking at the bright side. In addition, getting to know more about her family. This book gave so much more to the other two. It filled in spaces and brought closure to many of the plotlines. Lowlights: The more I think about this while writing the more I realize how much I liked it. Nothing to complain about at all. FYI: Must read Me Before You and After You before reading in order to understand the background and characters. Also check out the movie, Me Before You, starring Emilia Clark and Sam Claflin. First Line: My parlor smelled of linseed oil and spike lavender, and a dab of lead tin yellow glistened on my canvas. Summary: Isobel lives in a land ruled by the faerie courts except that these faeries are not the pixie dust-throwing, nature-loving creatures from stories and lore. 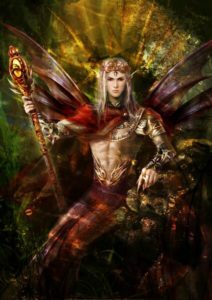 These faeries are alien, vicious, manipulative, and the only thing they love more than their own immortality is the art of Craft. Faeries cannot wield a pen, a paintbrush, a cooking spoon, or a sewing needle without disintegrating to ash. Therefore, they seek the services of artists like Isobel who will effortlessly paint their portrait. Isobel is the master of her craft and sought out by the most prestigious faeries including the powerful Autumn Prince. But when she paints human sorrow in the prince’s eyes, she infuriates him and is forced to journey to the land of Faerie to suffer the consequences. High Points: The best part of this story is the writer’s use of language. This book is for readers who love a good metaphor. 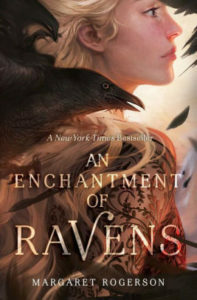 The writer paints such a vivid and magical image of this world, and its flowery and sophisticated prose will sweep you off your feet and right into the enchanted land of the Fae. This book is also excellent for artists, especially painters. Isobel loves her craft and prides herself on its perfection. 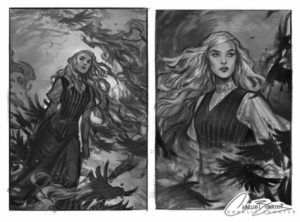 The way she processes her art is fascinating and gripped me through the story. 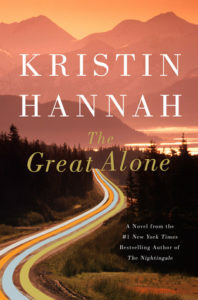 Low Points: This book has two main flaws for me; distraction and “insta-love.” The book tends to distract itself with its own metaphors and artistry to the point that the actual plot gets muddled at times. 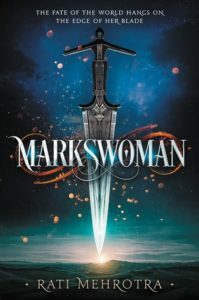 The middle portion of the book is primarily a journey story in which the characters are traveling from one place to the next in the faery world. At times I found myself asking why they were going somewhere in the first place. The book also suffers from the “insta-love” curse meaning the main character, Isobel, and the Autumn Prince fall in love much too quickly. 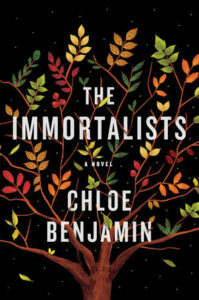 It’s a typical trope in young adult fiction and over time, I began to feel for their relationship, but it took most of the book for me to accept it. FYI: This book is a stand-alone young adult novel, a rarity in the genre. I read half of this book and listened to the other half on audio and highly recommend the audiobook experience. We work in a library, and as you’d expect, most of us are active readers. While few of us can keep up with Ashley (who read over 130 books last year! 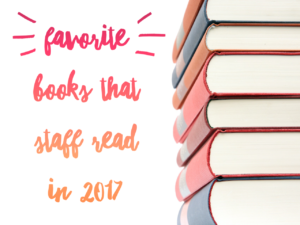 ), many of us definitely spend a lot of our spare time reading, and we want to share some of the books we enjoyed reading most in 2017. These are not necessarily books that were released in 2017, in fact some of them are a few years old. One thing they have in common though, is that someone who works here in the library read them last year and loved them. And now we want to share them with you! Below is the name of each staff member who shared a title and the title and author of the book they recommend. Click on the title of the book and it will take you right to the catalog entry for the book, where you can place it on hold to read it yourself! And if you are looking for more reading suggestions, remember to visit our website at www.derbylibrary.com and click on “New & Recommended” under the Books & Media tab. First line: The gentle melody of a Christmas song lifted into the air of his study from the street below. Summary: Clara Kelley is a poor Irish girl who has been sent by her family to America to acquire a job so she can send money home to her parents. 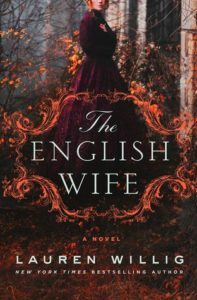 When she is mistaken for another Irish immigrant, she gains the job of a lifetime. 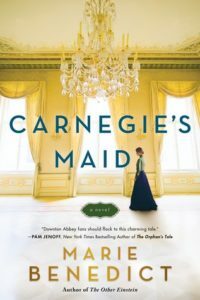 She is hired as the lady’s maid to Mrs. Carnegie, the mother of the rising industrialist, Andrew Carnegie. When she is discovered reading books in the family library by Andrew they strike up a friendship. They discuss poetry, their past lives and business. As their relationship grows, she continues to worry that she will lose her position and no longer be able to help her starving family in Ireland. Highlights: I loved the lightheartedness of the story. The character of Clara was one I enjoyed following through the story. The time period is one filled with change. Seeing the friendship between Clara and Mr. Ford. They were two outcasts at the time. Each had their own struggles in the time of the Civil War. It was a nice look into the history and cultural outlook of the era. I liked the relationship between Andrew and Clara. The background of Andrew Carnegie was fascinating. It showcases the American dream. He came to America as a poor young man but he took advantage of every opportunity to become one of the richest men in U.S. history. I enjoyed his discussions about his love of reading that slowly evolve into the idea for the Carnegie libraries. Mrs. Carnegie was fascinating. She is a society woman who was not exactly sure how to be a society woman. She was new money and learning as she went. I liked that she deferred to Clara on how things were done. However, she always seemed to be in control. Lowlights: I wanted more of the friendship between Mr. Ford and Clara. They have such an interesting dynamic. Clara claims that Mr. Ford was her only friend but we see very few interactions between the two. I liked that they found someone who is as much on the outside as the other. FYI: The story is fiction but it is a nice story of Andrew Carnegie. I first heard about this series while listening to the podcast Pop Culture Happy Hour. 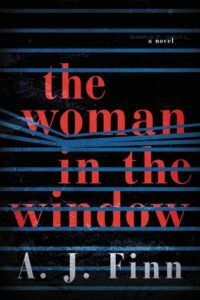 The reviewer said this was one book she really thought was best enjoyed on audio. So I put it on hold through RB Digital, and because of it’s popularity I had to wait for it for several weeks. Let me tell you it was worth the wait! Because the story takes place in Quebec there are so many beautiful accents and french words I would have butchered them without having it read to me! This series spoke to me in so many ways. The characters are amazing and the descriptions of the meals they enjoyed were drool worthy. I will admit that the first book wasn’t an earth shattering read, but if you enjoy it please move on to the next book in the series. I think each one is better than the one before. Now on to the FOOD! It’s really hard to narrow it down to just a few recipes, but I think keeping with the french bistro vibe is the way to go. Steak Frites is one of my favorite bistro dishes and it’s really very simple and delish. Serve with a nice red wine and finish with this easy French Apple Tart. You may or may not know this but if you live in or around the Wichita KS area you are lucky enough to have a french bistro close by. You could take your audio book to Georges French Bistro and enjoy a lovely meal with no dishes to clean afterward. I’m planning to go once the weather warms up and sit outside on their Paris inspired patio. Let me know what french dishes are your favorite! First line: Lately, the line between real life and the movies has begun to blur. Summary: Hollywood was not always the glamorous place it is today. 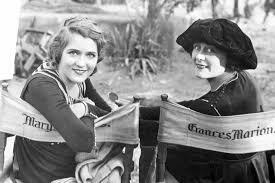 At the dawn of the motion pictures were Frances Marion and Mary Pickford. Their friendship and collaboration created many of the earliest movies. Each took their careers in hand and made a name for themselves. Marion as a screenwriter and Mary as “America’s Sweetheart”. Through a duel narration, we see the changes of the movies, their lives and the nation. Highlights: Melanie Benjamin is becoming one of my favorite authors. She writes amazing stories of strong women. 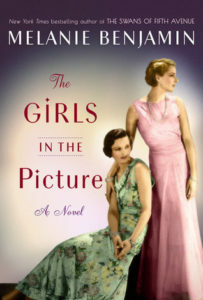 I am completely enamored with Mary Pickford and Frances Marion after reading this novel. I really liked both characters. Each woman is independent but they have a strong friendship that they rely on as well. The history behind the beginning of the motion picture was fascinating to see through the eyes of women who actually experienced it when women were barely working outside the home. I have inter-library loaned several of their movies as I read in order to watch the movies discussed in the story. Having never watched a silent film, it will be a fun experience. 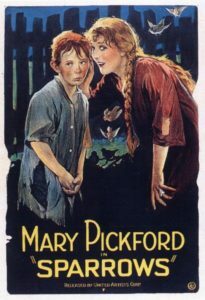 My first one will be Sparrows starring Mary Pickford. Lowlights: The middle of the plot was a little slow. Especially when Frances was in Europe during the First World War. It is an important point in her life but when the rest of the story is centered around Hollywood and the movies it was not as interesting. FYI: If you like The Chaperone by Laura Moriarty then read this!